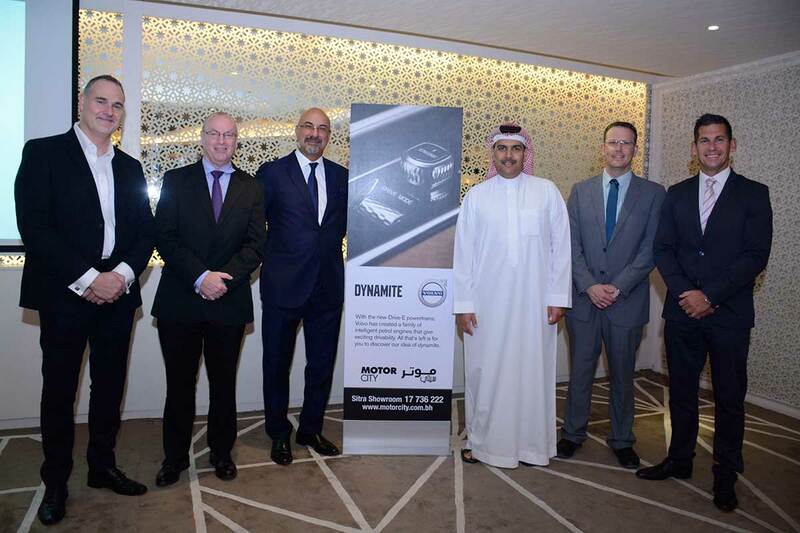 Motorcity recently held an exclusive event to introduce the all-new Volvo XC90 to the Capital Club members on Tuesday 20th of October 2015 at the Club premises. Dr. Bijan Majidi Senior General Manager of Motorcity Holding highlighted the state of the art in automobile connectivity and the industry’s revolution by presenting an abstract of ‘Connected cars in the 21st Century’ to the Capital Club members and guests. The presentation covered a snapshot of the automotive industry, its stakeholders and the new entrants from other industries in developing a new ecosystem aimed at providing mobility and car communication connectivity with the ultimate scope to enable autonomous driving. He also shared Volvo cars’ global strategy towards road safety and the mission to eliminate any causality in a Volvo car by 2020. Dr. Majidi presented several real life videos, on status, progress and future of the automotive industry and the evolving ecosystem its stake holders and Volvo’s pioneering role. Volvo cars have always been known for their innovative safety technologies, and with the all-new XC90, the automotive safety takes a new leap in the form of ‘IntelliSafe’ features. In addition to this, the all-new XC90 is a combination of design, luxury, performance, comfort and modern connectivity that sets the benchmark for automotive excellence. The car is designed for a demanding audience, for individuals who insist on an SUV that expresses who they are. Motorcity sets a further benchmark by offering an exceptional value proposition which is unmatched in the Kingdom. Customers purchasing the all-new 2016 XC90 will be treated to an all-inclusive first class offer, which incorporates a five year unlimited kilometre warranty, five years of road assistance across the GCC, in addition to a free service and maintenance package for five years or 100,000km. The future value has also been considered by providing a guaranteed buy-back agreement. The package also includes free window tinting and registration as standard. Motorcity has also announced the launch of Volvo Premier Club, a premium car ownership experience for all Volvo customers with a wide range of customized benefits and services. The Volvo Premier Club membership will be available to all new and existing Volvo car owners, regardless of car age or condition which will include a concierge service, discounts and other significant benefits through a network of partners. For more information, contact the Volvo Premier Club Concierge Desk on 17879222 or email [email protected] between 8:00am to 5:00 pm, Sunday to Thursday.